Let’s be realistic. The game of golf and the PGA Tour need Tiger Woods. Even with the travails of his private life reported on and viewed on every television and computer screen, we still need him. Call it charisma, cache or whatever but the excitement Woods generates moves the needle unlike anyone in our sport since the heady days of Arnold Palmer and Jack Nicklaus. Sure today’s young guns (described by somebody as a “golf’s boy band”) draw attention but Woods was and is a winner and a unparalleled cultural phenomenon. Just ask Phil Mickelson who has a record matched by few with the ninth most wins all-time but he’s 9 majors and 37 wins behind Tiger. And in case you don’t think this separates Tiger and Lefty from the rest of the pack, the next highest winning total by players under the age of 50 is Ernie Els with 19. The expectations of the so-called “Tiger Bubble,” where millions of new participants would take of the game because Woods made golf “cool,” didn’t result in a large number of committed players. For all the optimism of how a non-Caucasian star would “change the face of golf,” it didn’t happen. Golf today reflects our society, its strengths and weakness and on the whole is a positive for the roughly 25 million who play, at least occasionally. Of that number an estimated 20 million tee it up several times per year making golf a significant part of their lives. Having said that, we know the number of rounds of golf played is the primary determinant for course revenues, equipment sales, travel and all the other parts of the industry. A healthy, competing Woods draws attention like no other athlete and that encourages players to play more and possibly even attracts new participants. There probably is no other single event that would trigger as much interest in the game as his return and golf industry companies would have to capitalize on it. It could be a big deal. Say if somehow a Tiger return leveraged by smart course management (not simply price cuts but creating real value for customers) could translate into rounds played going up a modest ten percent. That’s about 40 million rounds and a simple multiplication assuming a $40 average greens fee and the result is $1.6 billion which doesn’t include the sales of equipment and apparel, travel, food and beverage…Well, you get the idea. 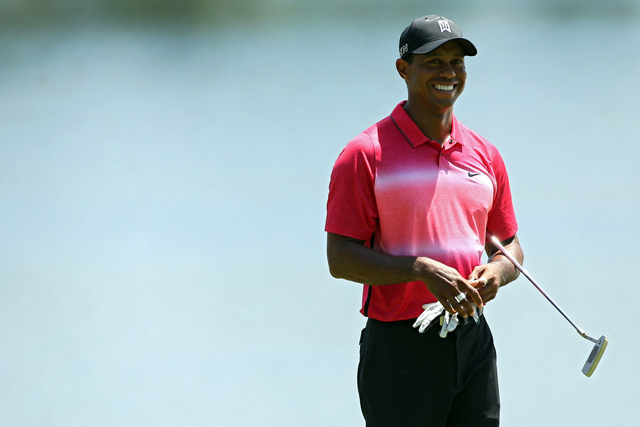 The industry needs a catalyst such as a healthy Tiger Woods. From a fan’s perspective how great would it be to have Tiger tee it up this week at Oakmont against Day and Spieth and McIlroy and Scott and the other younger players. Or as long as we are dreaming. Can you image the TV ratings if Lefty and Tiger were tied going in to the final round, battling it out on Father’s Day? The companies funding the telecast with their advertising would have a bonanza of viewership for their products and services. Yes, golf needs Tiger and let’s hope all the speculation of “if he will return” becomes meaningless when he does.